1933-2018 Theresa Mirafuentes Robles, passed peacefully in her home in Waipahu, O'ahu, on January 3, 2018. She was born eighty-four years ago in Makaweli, Kaua'i, daughter of Rufina and Petronilo Mirafuentes, the youngest of seven children. Theresa enjoyed an early retirement after 32 years of government service with the Department of Defense, Pearl Harbor. Theresa had an unwavering faith in God and was a parishioner of St. Joseph Church for over 70 years. She loved to travel and found fascination and enjoyment at every destination--from a local Hawaiian stay-cation, to visiting with family from the California coast to the eastern seaboard in Northern Virginia and various states in between, to the exotic Asian and historic European countries. Theresa had a great appreciation for the arts--from the visual arts to the performing arts and enjoyed music and dance from many genres and cultures. She will be lovingly remembered by her husband of 65 years, Benjamin S. Robles, and their children, Sharon Robles Yee (Tom) of California, Vanessa Robles Pettit (John) of Northern Virginia, Kevin Robles (Charlene) of Waipahu, Tracy Robles Madrigal of Northern Virginia, and their grandchildren, Collin Robles Yee, Vanessa Pettit Fitch (Brian), Kevin Dean Pettit, John Sebastian Madrigal, and Theresa Ann Madrigal. 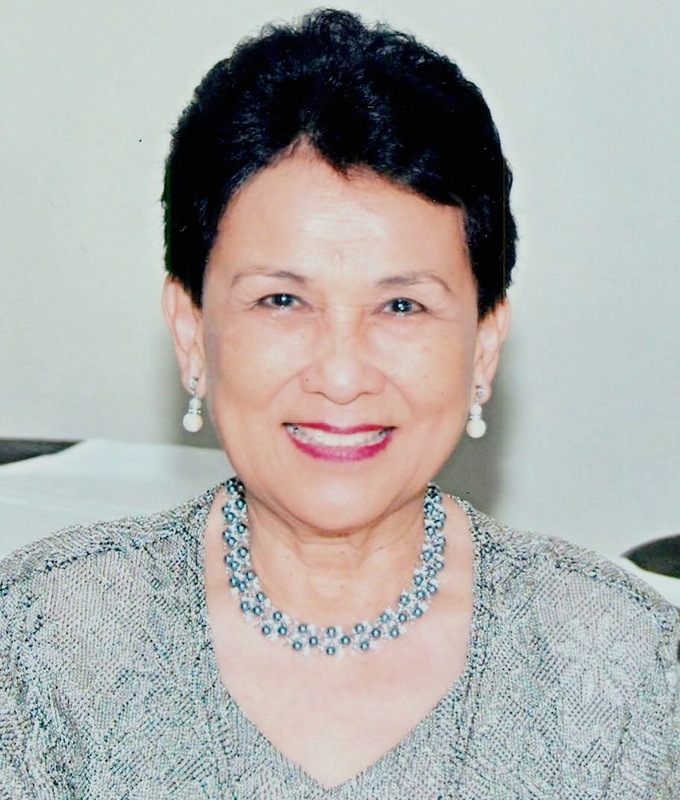 Theresa is survived by her sister, Florence L. Fuentes. Visitation will be at 9 am Tuesday, February 27, 2018 at St. Joseph Church in Waipahu, (94-675 Farrington Hwy, Waipahu) followed by mass at 11 am. Burial will be at 12:30 pm at Mililani Memorial Park and Mortuary, Mauka Chapel.